Buying a house is a big financial investment and responsibility. Your credit score is one thing lenders will look at to determine your financial responsibility; how you use credit and how you manage debt. 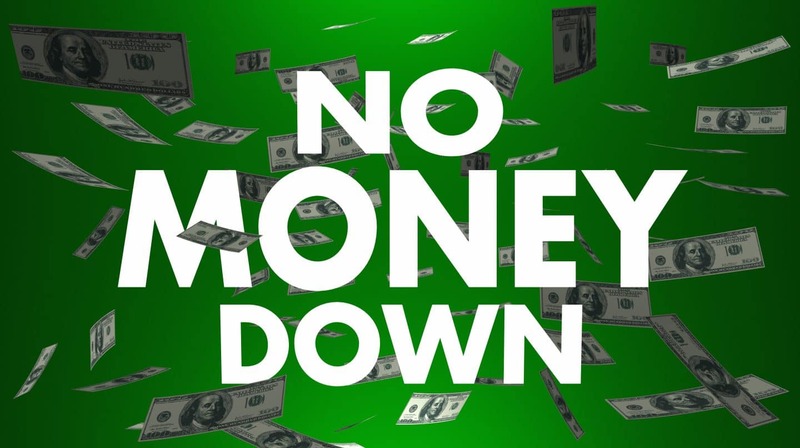 Unless you can pay cash for your new home, you will need to borrow money in the form of a mortgage loan. The type of loan and interest rate you receive for your mortgage loan depends largely on your credit score. 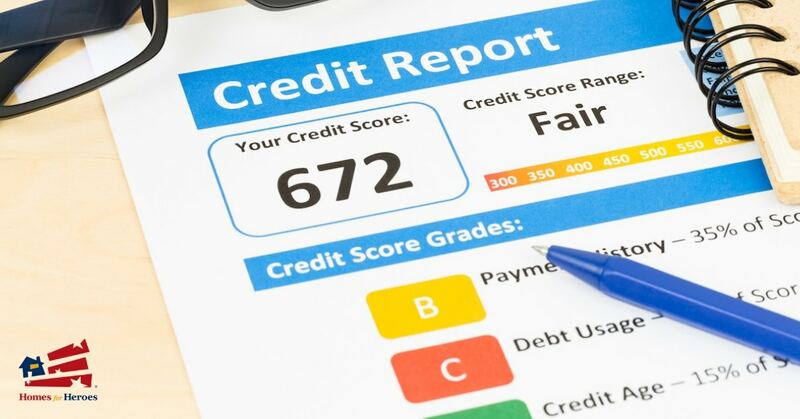 Here is some information to help explain how your credit score plays a role in the home buying process, and what is a good credit score to buy a house in 2019. Making the decision to become a first time home buyer is complex. Or, if you’re looking to purchase your next house, sometimes it’s hard to know where to start. 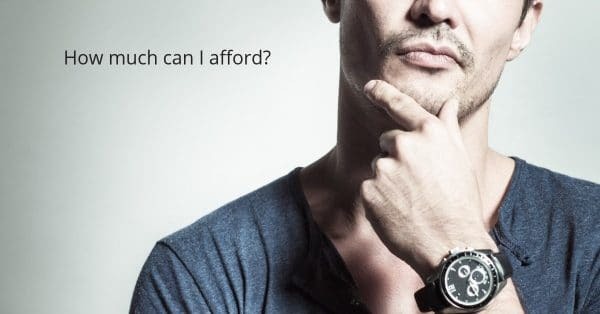 A good first step is answering the question: How much house can I afford? Buying a house is an important decision and major investment. It’s also a step toward the American dream. Like many Americans, our heroes can be hesitant to make the leap. 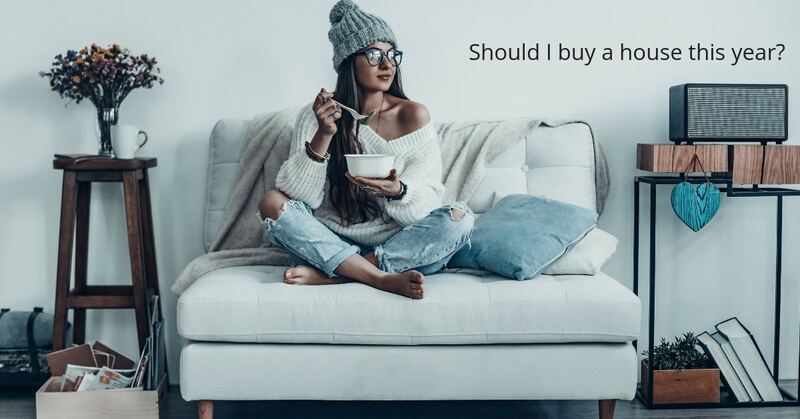 Many heroes often ask, “Should I buy a house in 2019?” It’s a great question. It’s an important question. There are many advantages to becoming a homeowner. But, if your circumstances are questionable, then it might be best to wait. Here are some historical trends and key housing market indicators for 2019 to consider before you decide to buy a home. Long hours, disgruntled patients, and the daily stress of managing life-and-death situations. At Homes for Heroes, we realize some of the challenges faced by doctors, nurses, technicians and other medical healthcare professionals. 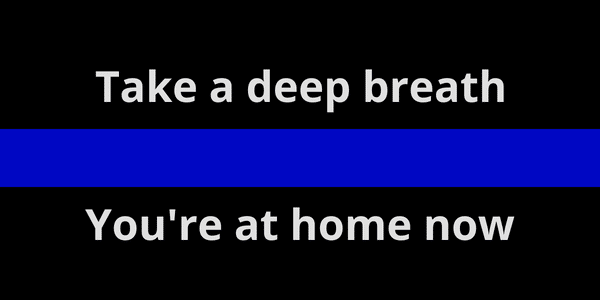 You have a difficult and often thankless job. But your contributions to your community do not go unnoticed. We want to thank you for your dedicated commitment and hard work by saving you money on your next home purchase. 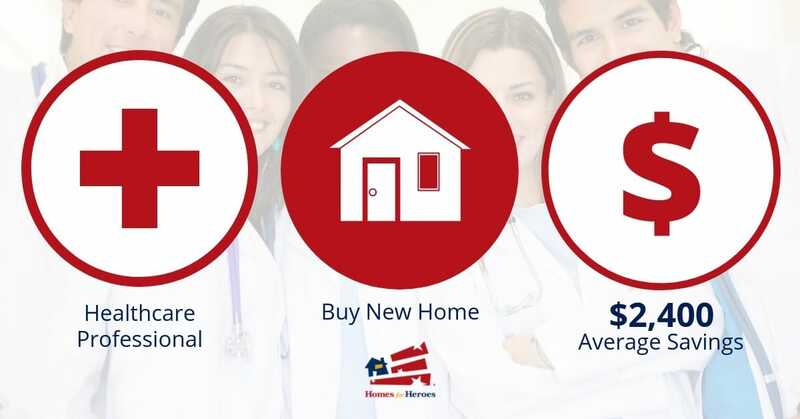 Whether a first-time homebuyer or an experienced homeowner, here are five ways Homes for Heroes can help healthcare professionals buy a home. What Happens to the Housing Market Post-Election? The midterm election is finally over. After enduring the seemingly endless political ads on TV, it’s probably the last thing you want to think about. But if you’re in the market to buy, sell or refinance a home, the outcome of this election may have a profound impact on your prospects. While things may be chaotic during the campaigns, the post-election period brings some much-needed clarity to the housing market. Here’s what to expect now that the election is over. For many people, the new year brings big changes — and there are few changes bigger than selling a home. You may be ready for a fresh start, but deciding whether you should sell your house is no easy decision. There are a whole host of financial factors to consider, not to mention the emotions that come with leaving a place you’ve made your home. With so much to think about, making the final decision may come down to one simple question: Will 2019 be a seller’s market? The short answer is yes. But it’s not all good news. There are a million factors that affect the housing market, and here are the main points you should consider when deciding to sell your house in 2019. A deployment is one of the hardest things a member of the armed forces can experience in their military career. But it’s almost equally difficult for families who miss their loved ones and want to see them return safe. Many spouses dream of having their husband or wife come back to a brand-new house so they can jumpstart their lives stateside again. But buying a home is extremely complex, especially if your spouse is overseas and unable to help in the search. That doesn’t mean it’s impossible. 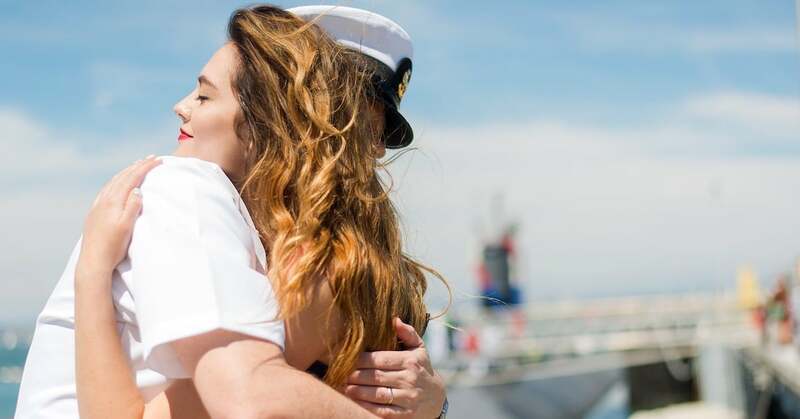 Here are some tips on buying a house when your spouse is deployed. Police officers, troopers and correctional officers have an extremely difficult job serving their communities. So, when it comes time to buy a house and become a permanent part of that community, you want financing to be easy. Thankfully, there are a number of great home financing options available specifically for police officers. Let’s explore some of the most common types of loan programs that help police officers buy a home. 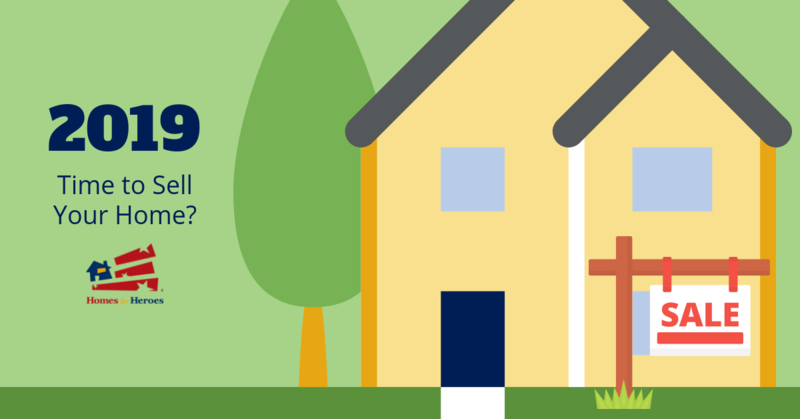 As a law enforcement professional, you have a fantastic opportunity to participate in the HUD Good Neighbor Next Door program that helps public servants purchase homes in revitalizing neighborhoods. Through this program, you can buy a HUD home for 50 percent of the appraised value when the house is in a designated area. You must agree to live at the property for at least three years to qualify for the Good Neighbor Next Door program. Programs like these are a great way for police officers to save money and start improving communities from the day you move in. FHA loans are a great option for police officers and first-time homebuyers because you don’t need a stellar credit rating and they only require the buyer to put 3.5 percent into a down payment. These government-backed loans come with very competitive interest rates, although you will need to pay for private mortgage insurance (PMI), potentially throughout the life of the loan. Homes for Heroes partners with mortgage lenders across the country who know these loan programs inside and out. Sign up and we’ll match you with a Homes for Heroes mortgage specialist who can help you figure out what’s best for your unique situation. Depending on where you’re looking to buy, you may be able to find a geographic-specific home loan program for police officers. You’ll find these most often in major metropolitan areas where real estate prices are high. The city of Chicago, for example, has an excellent home buying assistance program available to police officers who work in the city. The Chicago Public Safety Officer Home Buyer Assistance Program is a pilot program that was developed to improve struggling neighborhoods by encouraging police officers to purchase homes in those communities. Eligible police officers who meet the maximum income requirements receive $30,000 to help with down payment and closing costs. Many geographic-specific programs, including Chicago’s, require buyers to live in the home for a certain number of years to receive full benefits. Your Homes for Heroes mortgage specialist will help you navigate all of the details and requirements as you go through the loan process. Once you have your home loan financing in place, a Homes for Heroes affiliate real estate specialist will help you find the home of your dreams. Our real estate specialists are experts at locating fantastic housing options that meet your needs. Whether your department requires you to live within the jurisdiction, you’re searching in a competitive market, or you just want to live close to your precinct, our specialists can find the right home for you. Along with sharing their expertise and gratitude, they’ll also save you substantial money on real estate fees. After closing, Homes for Heroes will send you a check for 0.7 percent of the purchase price. That means if you buy a $300,000 house, you’ll receive a Hero Rewards check worth $2,100 in the mail from Homes for Heroes. From the best possible loan to a check at closing, it’s just our way of saying thank you for the service and sacrifice of police officers everywhere. Are you a police officer looking for help financing your next home purchase? Sign up today and see how Homes for Heroes can help you save money. Refinancing a mortgage is a terrific way to improve your financial situation, and with the many refinancing loans available, now is a great time to talk to your lender. Read on to learn more about how a mortgage refinance works so that you’re prepared to get the best loan available.